From best-selling author Jeffrey J. Fox, how the savvy see opportunity -- and capitalize on it Economic downturns separate the winning companies from the struggling. And as best-selling author Jeffrey J. Fox shows, tough times also give solid companies, strong managers, and potential rainmakers the opportunity to seize market share. 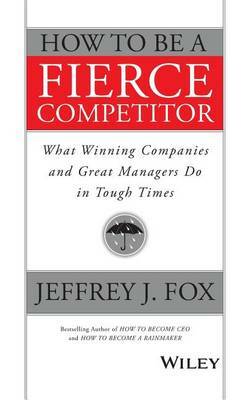 In this eminently readable, practical resource for business leaders and managers, Fox explains exactly how the savvy few who rise to the top stay focused and alert, get new market share, hire good recently fired talent, increase investments into customer service, speed innovation, train all customer facing people, make acquisitions, get rid of underperformers, build brand names, pay for measurable performance, and lots more. Potential rainmakers, CEOS, marketing superstars, and great bosses have long turned to Jeffrey J. Fox for advice. Now he shows exactly what to do to weather any climate.